Originally designed for basketball, the Basket scored through many practice rounds and pick-up games before being adopted by the hip-hop scene. During the ‘80s, the legendary shoe took over New York City and became as well known for toe tapping to funky beats as dunking on court. 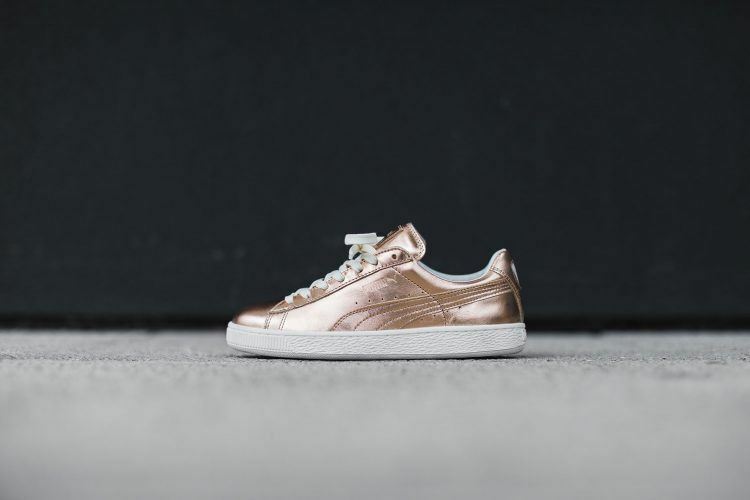 A bold execution for the Basket range, these heritage kicks have been given a futuristic twist with an all-over metallic treatment in Rose Gold and Indigo for a contemporary and modern look for Spring/Summer. 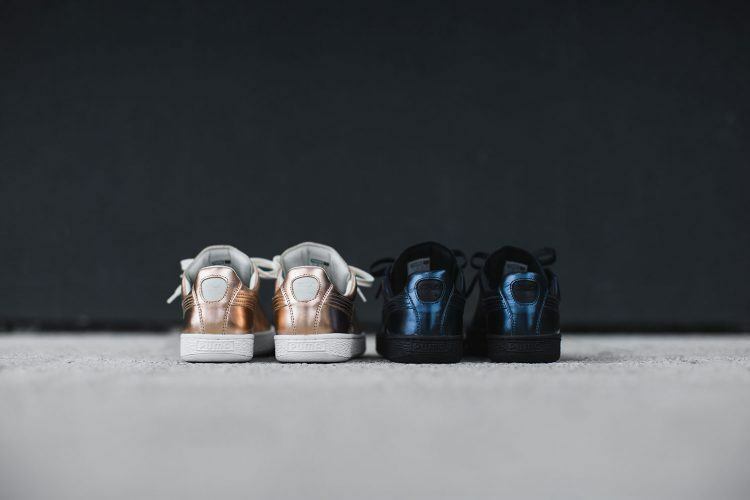 The sneakers are constructed in tonal, premium leather and are made in Europe. Metal tones affect the catwalks in New York, London, Milan and Paris and the runway to the streets. It is a key trend in Spring/Summer 2016. It will take you to and from your latest training class, while taking your look to the next level. 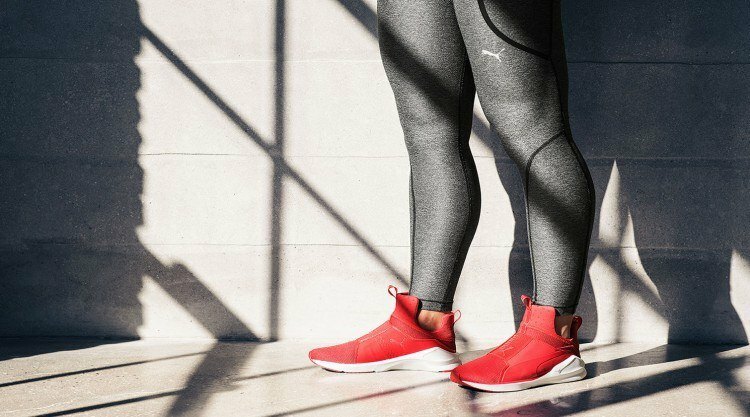 The PUMA Fierce is a lightweight laceless training shoe designed to be both versatile and functional and mixes performance-ready technology with street-worthy styling. 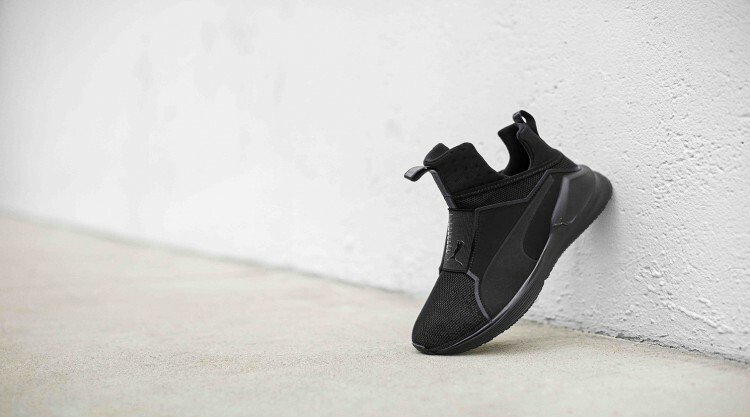 The design, which is based on The FENTY Trainer, has a demi upper bootie construction with technical overlays, a supportive midsole, and flex grooved outsole allowing for fast and dynamic multidirectional movements. 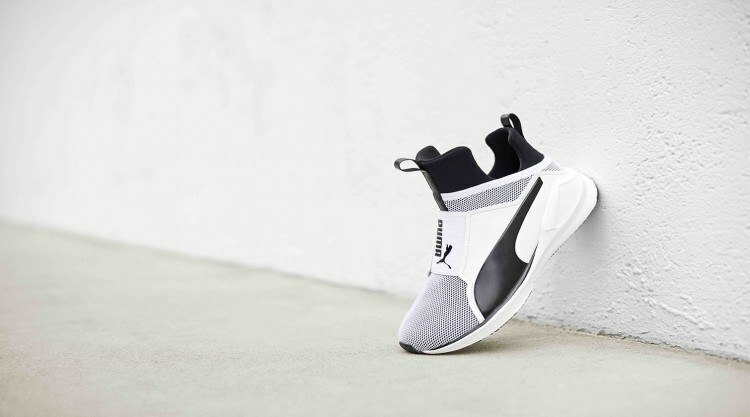 Twenty-five years ago, PUMA introduced the DISC System into a range of running shoes for the first time – an innovation that shook the industry. We celebrate this anniversary by launching a new lighter and sleeker DISC design. It´s quicker to turn, faster to tighten, and features smooth, durable steel wires to conform the foot. 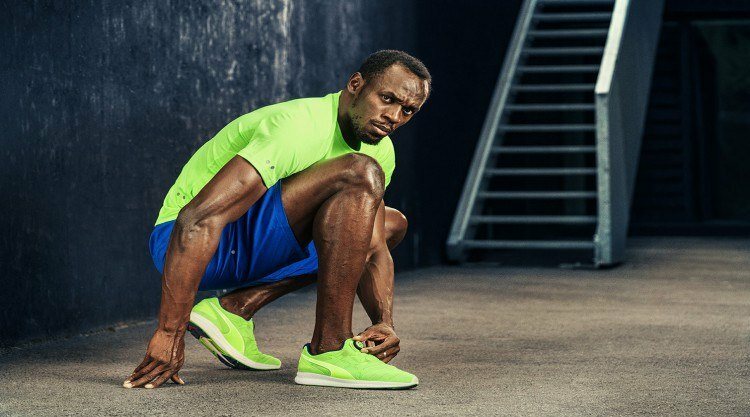 For our athletes, every split second counts, whether on track or in training. 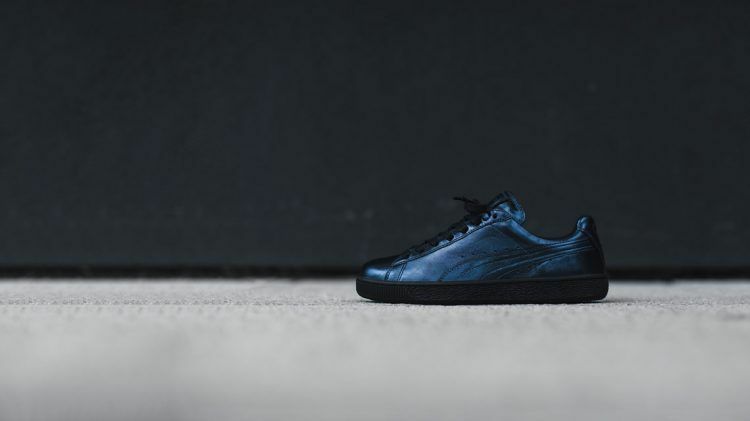 They need lightweight footwear that´s easy and comfortable to wear, and creates a customized fit. The IGNITE DISC and ecoSPEED DISC Spike deliver all of these and more. 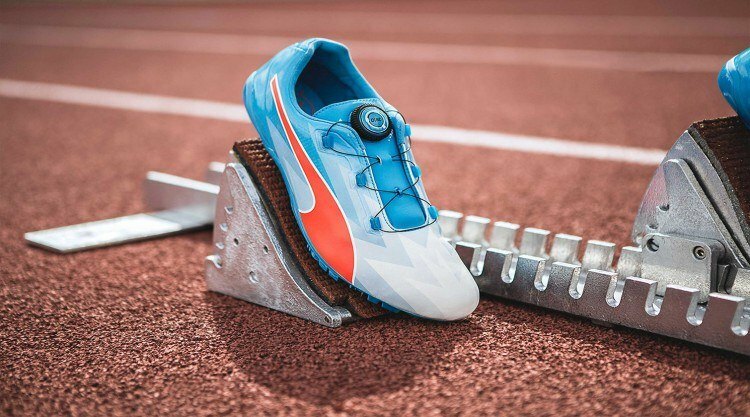 The ecoSPEED Spike wraps and secures the foot onto the platform within a split-second. For ultimate traction and propulsion, it features an aggressive full length Pebax Sprint Plate with eight spike receptacles. Top-of-the-line, soft, aerodynamic Clarino® synthetic upper hugs the foot and locks the foot onto the plate for superb upper support. 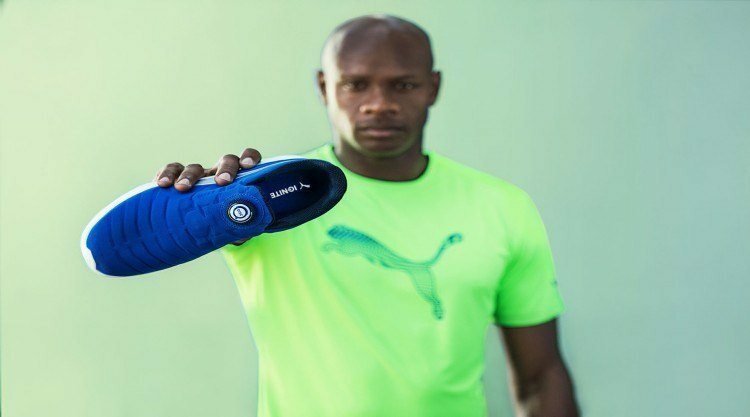 The IGNITE DISC ensures a quick and secure fit, allowing runners to put on their shoes on and go. 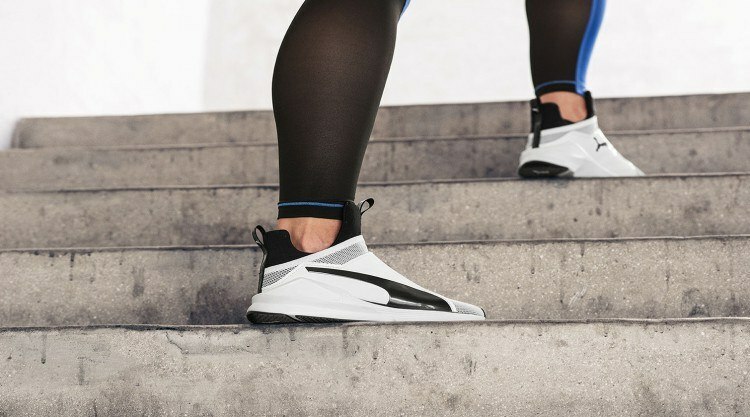 The upper is comprised of comfort foam that conforms to the foot and offers plenty of comfort while a breathable net mesh hugs the foot and makes the shoes very lightweight. With the IGNITE Foam, the IGNITE DISC offers superior energy return with an exceptional cushioning material that disperses impact.